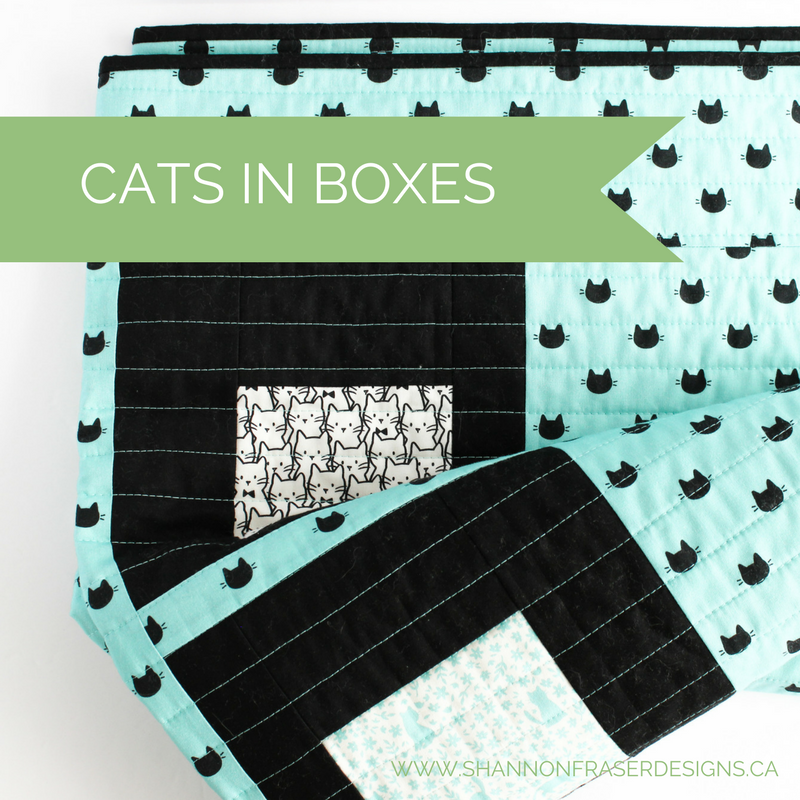 This one is sure to appeal to my fellow cat lovers! 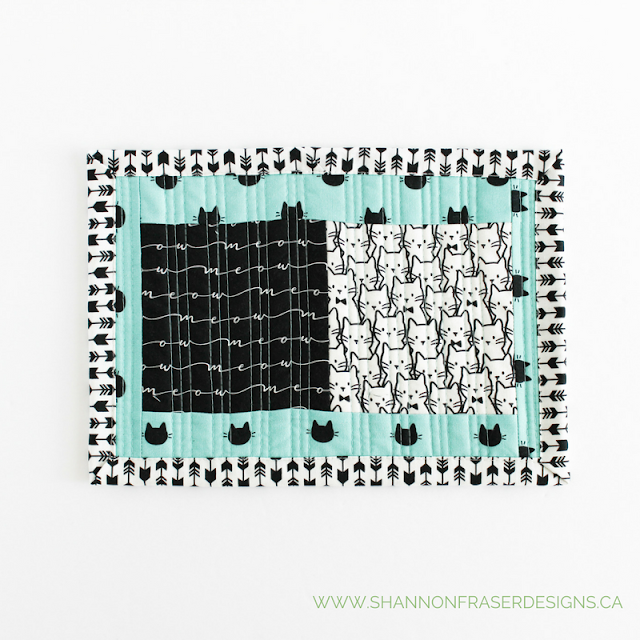 My love for my lil’ guy knows no bounds and quilting with these adorable kitties staring back at me was super fun! 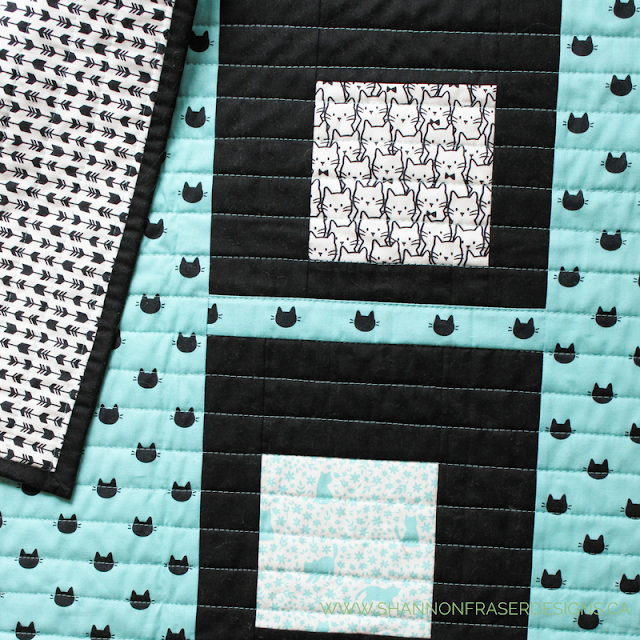 Camelot Fabrics’ latest fabric line called the Meow Collection is just purrfect for the feline lover. And it’s heading to your local quilt shop January 2018! 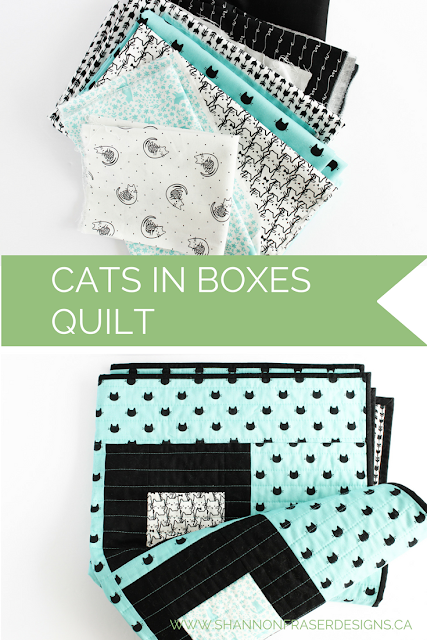 The line has a great mix of whimsical and geometric prints which is great for sewn accessories and quilty projects alike. It’s such a fun modern fabric line! 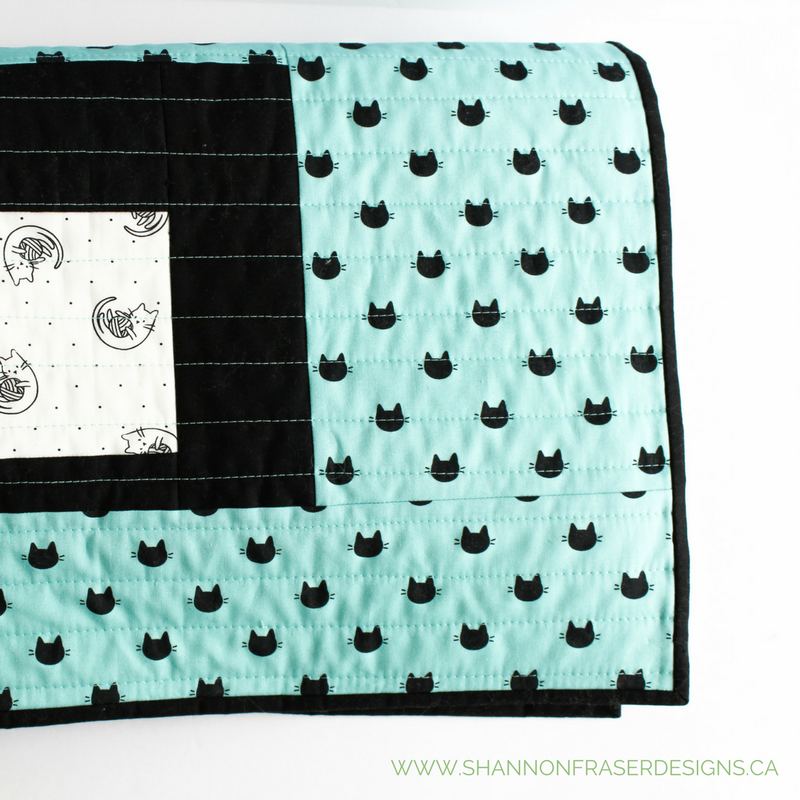 And I just love the black and white palette with the pop of turquoise. The modern baby quilt I made in preparation for Camelot's attendance at Spring Quilt Market features 8 of the 18 fabrics in the collection, including: Kitty Dots in Turquoise, Playtime in White, Script in Black, Cat Cluster in White, Arrow in White, and Silhouette in Turquoise. And I love how the quilt pattern, designed by Cinzia Allocca, really features the individual prints by framing them in floating boxes! And making this even more suitable as a gift idea is the fact that it comes together really quickly. The only heads up I would give is to take your time when piecing the main panel. Even though I had it all laid out on my design wall (details on how to build your own available here), I still managed to sew a couple of them with the wrong orientation. So take an extra minute to double check so that you avoid having to whip out your seam ripper! I would also make sure to think through how you cut your background fabric. Direction is key here and you wouldn’t want to snip into your yardage only to realize you cut it the wrong way. Thankfully I didn’t make that mistake!! The backing that was selected is super fun too and seeing the pop of light turquoise from the top stitching continues the theme of black, white and turquoise. Trust Aurifil to have the perfect matching thread in the colour Light Turquoise in 40wt! And great news, the quilt pattern and the required fabrics will be available as a quilt kit in early 2018!! With some fabric leftover, I decided to also make this sweet little quilted placemat for my lil’ sewing companion’s food bowl. He’s a messy little eater that one! 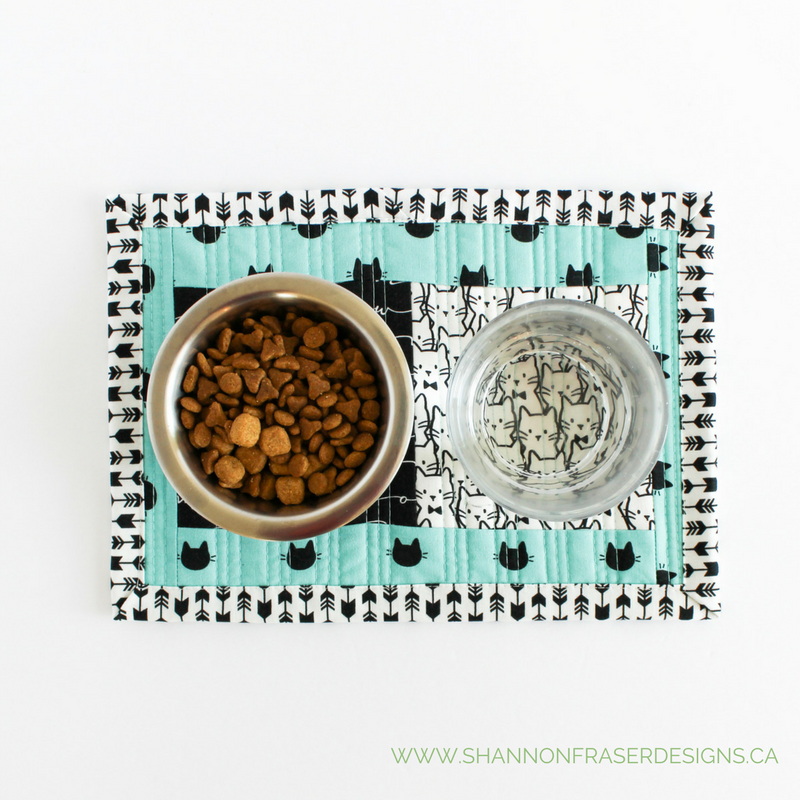 I thought some cute quilty goodness to catch all the spills would be perfect! Adds a kitty touch to his corner in the kitchen. Instead of tossing a bunch of paper towels, now I’ll be able to toss it in the washing machine 😊 Yay, for the environment too! Since this mini was staying here, I decided to try a few techniques out on her. First up was the quilting. 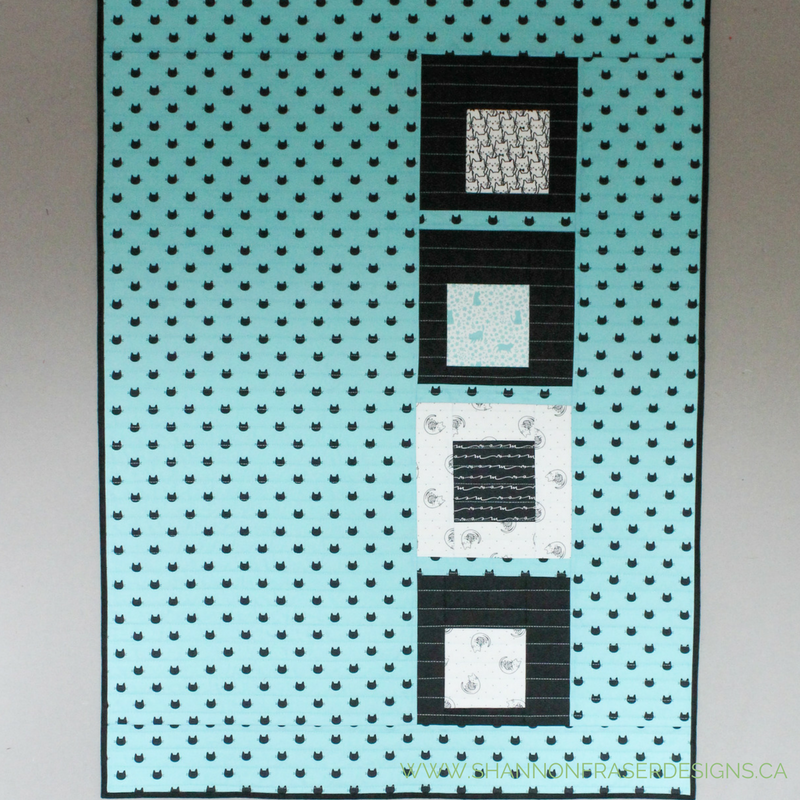 I do have a love for straight line quilting and couldn’t resist adding some really tight straight line clusters. 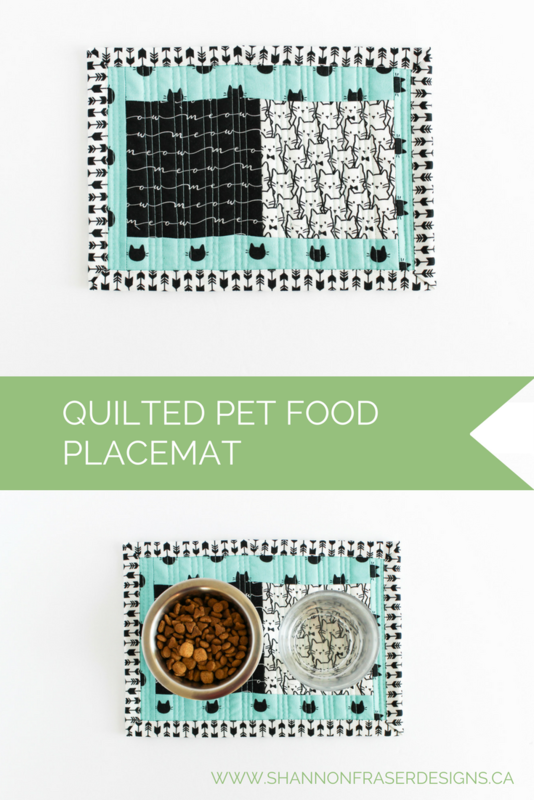 They add a nice quilty cushiony feeling to the placemat. It also gave me the chance to see how much this impacts the overall size of the quilt, which is a lot! Next up was the binding. 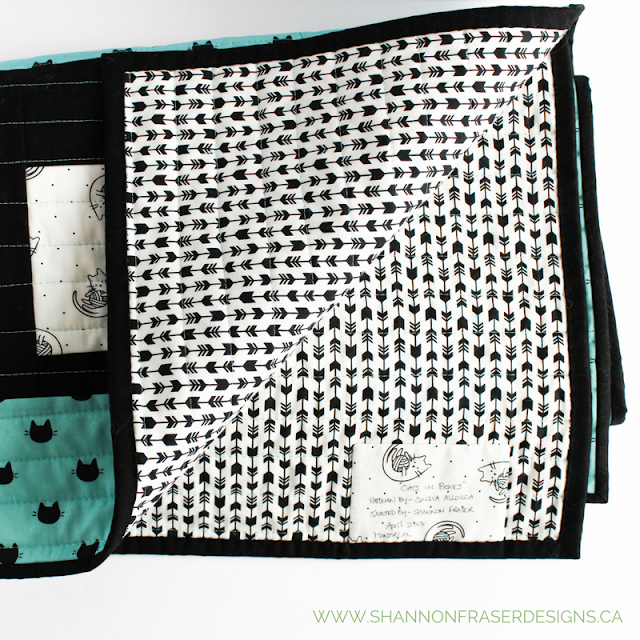 I’ve been meaning to give machine binding a go for awhile, but always shied away on my main quilts. I figured it’s a mini, what’s the worst that can happen 😉 I will say this for machine binding, it’s nice and speedy! I do love the speed. But I’m not a huge fan of the stitching line it leaves on the back. I’ll have to explore different approaches to see if I can improve on that. Thank you to Suzanne and the lovely gang over at Camelot Fabrics for having me join in on the fun of spring Quilt Market prep!! 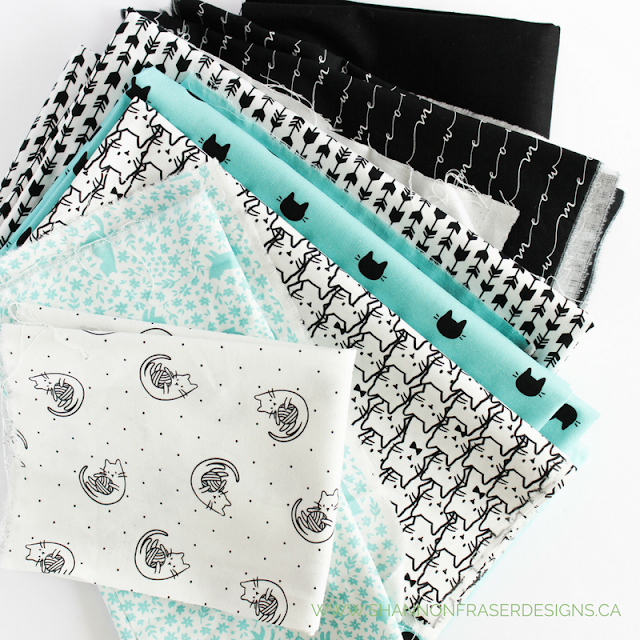 What a sweet fabric line! And oh. my. goodness... why haven't I thought of making a placemat for my cat yet? Brilliant (and an easy way to gather up all those bits of kibble...)!! !